The algorithm selection problem describes the challenge of identifying the best algorithm for a given problem space. In many domains, particularly artificial intelligence, the algorithm selection problem is well studied, and various approaches and tools exist to tackle it in practice. Especially through meta-learning impressive performance improvements have been achieved. 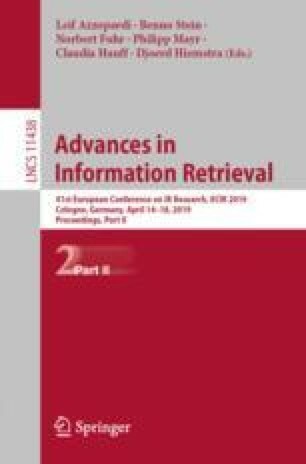 The information retrieval (IR) community, however, has paid little attention to the algorithm selection problem, although the problem is highly relevant in information retrieval. This workshop will bring together researchers from the fields of algorithm selection and meta-learning as well as information retrieval. We aim to raise the awareness in the IR community of the algorithm selection problem; identify the potential for automatic algorithm selection in information retrieval; and explore possible solutions for this context. In particular, we will explore to what extent existing solutions to the algorithm selection problem from other domains can be applied in information retrieval, and also how techniques from IR can be used for automated algorithm selection and meta-learning. This publication has emanated from research conducted with the financial support of Science Foundation Ireland (SFI) under Grant Number 13/RC/2106.